Windows Remote Management (WinRM) is Microsoft’s implementation of the WS-Management (WSMan) protocol, which is used for exchanging management data between machines that support it. WSMan, in the case of Windows, supplies this data from WMI and transmits them in the form of SOAP messages. More info here. Why is any of this important to you? Well, say you have a high-context shell on a single system and known good administrative creds to other systems, but you are afraid to use traditional lateral movement techniques (such as Metasploit’s PSExec or Empire’s invoke_wmi) as you suspect you will get busted by their shiny new $NextGenAV. More and more AVs are catching previously hard-to-detect techniques as well as commands that rely fundamentally on an encoded PowerShell command (powershell.exe -enc…). WinRM to the rescue! For some great background reading have a look at Rapid7’s article on WinRM, then bookmark NetSPI’s article, which is the de facto cheatsheet for WinRM commands. So why another article on WinRM? Note, if WinRM is closed on both ports, you could use the auxiliary/admin/smb/psexec_command module to run “winrm qc –q” which will quietly enable it. Again, greater likelihood of getting caught. Sweet! We should be able to execute commands using WinRM! What happened? Well, it just so happens that the default installation of WinRM is not totally insecure (even running winrm quickconfig). By default, it does not process unencrypted messages that were sent to it. As you can tell, it also doesn’t send back a polite “please encrypt this” message either. You just get a raw 500 error. I opened an issue on Metasploit’s github page regarding this and was informed that, pertaining to WinRM, Metasploit currently does not support Kerberos or encrypted communications, meaning you’re likely out of luck if trying to connect to a WinRM instance on Server 2012, which sets AllowUnencrypted to False by default. 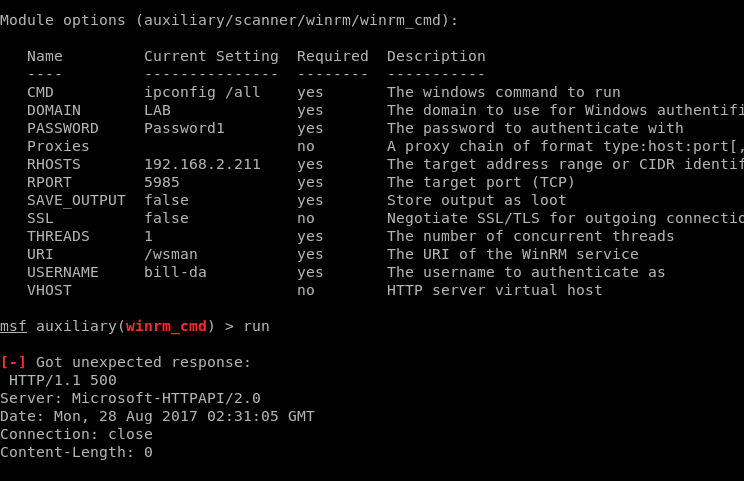 So we know that WinRM does in fact allow remote commands to be sent to it (hence the name); they just have to be authenticated and encrypted. This is where understanding our native tools can help greatly. To invoke our friends at Offensive Security, every pentest has a “try harder” moment (unless you haven’t patched MS17-010 :-/), so let’s keep going! PowerShell provides some great cmdlets that allow us to remotely connect to WSMan. Additionally, you won’t be invoking any low-level functions such as Add-Type that might get you flagged. 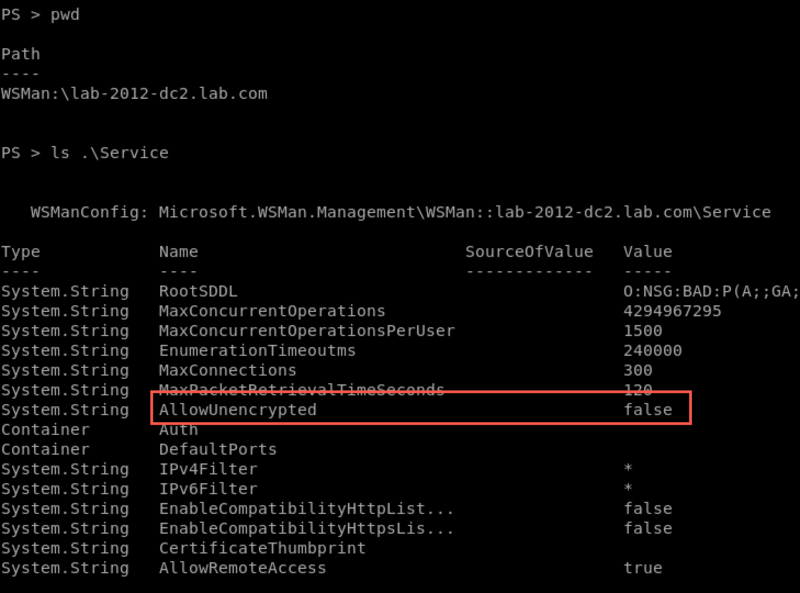 Set up a PowerShell credential object using our password for LAB\Bill-DA. Attempt to connect to the WSMan instance on our remote target. Awesome! We now have a remote connection to our target’s WSMan instance. From here on out, you can use Get-Item and Set-Item to enumerate and change WinRM’s parameters on your target. Yes, you could change the AllowUnencrypted attribute if you so desire, but I’ll leave that to you to figure out. The good news is that you don’t need to change anything to remotely execute PowerShell on your target. The Invoke-Command cmdlet is here to help! Note we are still using our credential object $c that we set above. Outstanding. From here you can pass in any PowerShell code you want on the target system. With over 10 years of industry experience, Jason Lang has worked in both offensive and defensive roles. 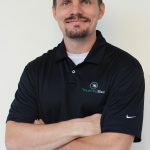 Before switching to red teaming, he spent 8 years working as a technical Security Architect for a Fortune 500, specializing in Active Directory and.Net/database development.